Join the Quincy Symphony Orchestra for a magical journey into storytelling and music as only timeless tales like Disney’s The Lion King and Star Wars can evoke. On Saturday, Nov. 18, the orchestra will play music from iconic moments in early classics to recently released films like SuperMan and the Justice League. Musicians will even be dressed in costume to portray superheroes, princesses and other characters! 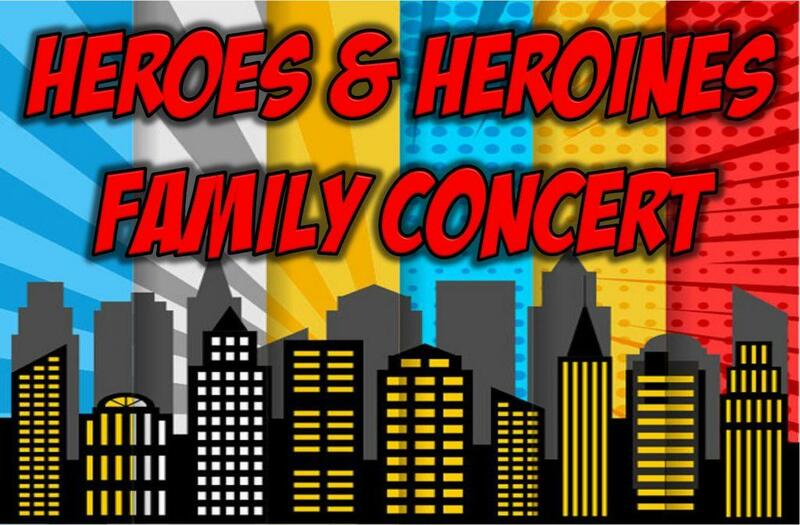 Bring the kids, both the young and young at heart, for a fun Heroes & Heroines Family Concert at Morrison Theater in Quincy Junior High School. Attendees of all ages are encouraged to dress up and join the fun! Children 18 and under are free! Starting at 6:15 pm, children will have an opportunity to take photos with live princesses and everyday heroes such as firefighters. The orchestra’s musicians will have their instruments on display and allow hands-on exploration during an Instrument “Test Drive.” Fun activities including games and crafts are also planned. The concert will begin at 7 pm and features recognizable tunes from Disney, Star Wars and other fan favorites. Orchestra selections include “Disney’s New Classics,” which highlights music from Aladdin, The Lion King, The Little Mermaid and Beauty and the Beast. Rogue One: A Star Wars Story comes to life in a terrific medley, skillfully arranged for orchestra. It’s a powerful, dramatic piece that captures the spirit of this epic tale and its heroine, Jyn Erso. Additional concert selections depict the sense of adventure, courage and fun in popular hero-themed music from Disney’s Frozen to SuperMan and the Justice League. Real life heroes will be honored during the concert with the Armed Forces Salute! Attendees can become a hero themselves by bringing a non-perishable food item to be donated to those in need. Tickets are available at the door or in advance at Quincy Hy-Vee stores, County Market in Quincy and Canton, Mo., Sturhahn Jewelers or the Symphony Office at 200 N. 8th St. Individual concert tickets are $18 for adults and $15 for senior citizens. Children 18 and under are free and encouraged to attend with their families. Faculty, staff and students from John Wood Community College, Quincy University and Culver-Stockton College are admitted free through a college ticketing agreement. Season tickets offer a great savings over single ticket prices and are available now. Included in the price are 10 QSOA events at $70 for adults and $60 for seniors. First time subscribers can buy one season ticket and get a second free! Ask about the special promotional offer. Call 217-222-2856 or visit qsoa.org for more information.